Common edible wild garden “weed”; all parts are edible. Highly nutritious, abundant, and hardy substitute for cultivated spinach. Often found popping up in recently disturbed soil like garden beds, especially in lower, wetter areas. Tolerant of marginal soils but prefers the more fertile ground of farms and gardens. Begins to germinate in springtime right around the time that many cool-weather greens get seeded and transplanted in the garden; this is April-May across most of North America. It will often outcompete domesticated veggies if not kept in check early in the season. Greens are best when harvested from spring through midsummer. Seeds are harvested in late fall. 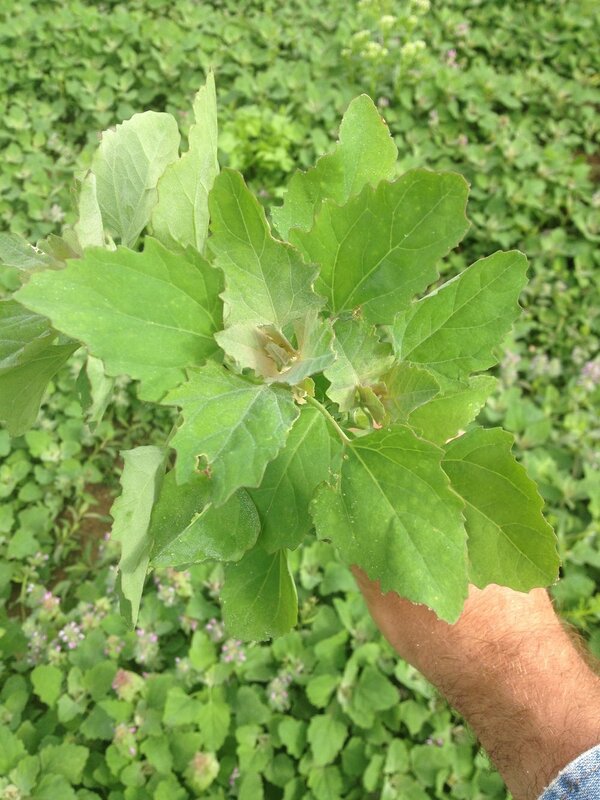 Lambsquarters is one of the most abundant and versatile edible wild greens in the springtime through the summer. Its other common name, wild spinach, alludes to some of its culinary uses. The flavor is very mild and pleasant, not unlike cultivated spinach in terms of taste and texture. C. album is yet another example of an extraordinarily common and nutritious edible wild plant that most farmers and gardeners exterminate in order to make room for their inferior lettuces and wimpy salad greens. Gather individual leaves anytime you find some you like, or cut the top 6-8” of any growing stem for faster harvesting. 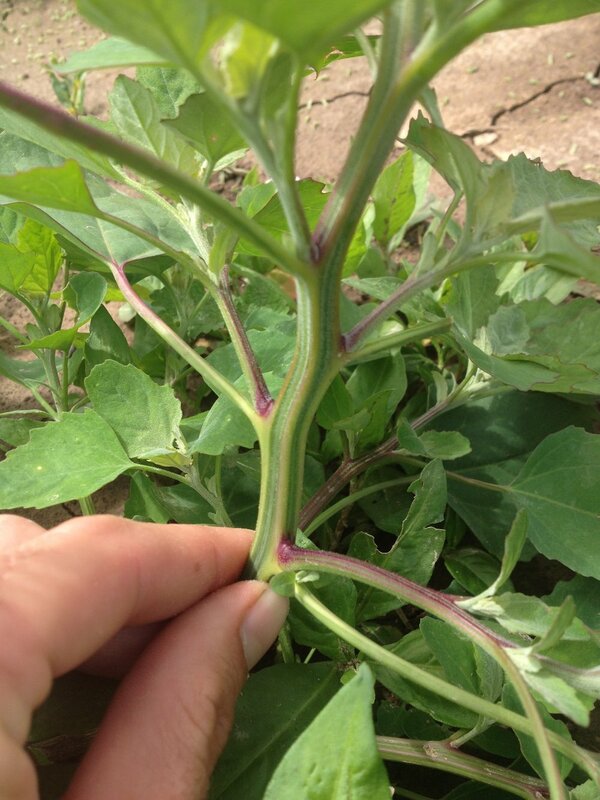 C. album responds to pruning much the same as basil or other herbs; if you’re familiar with basic pruning methods, you can make a single wild spinach plant bush out to produce a ton of food across the growing season. Add raw leaves to salads and sandwiches. Also makes a great potherb anywhere you’d use domesticated spinach. Lightly sauté whole or chopped stems with leaves still attached for an asparagus-like vegetable. None! You won’t find another plant with that distinct white powdery look to it.